Here at D4R we have had a makeover on our reception area and we love it. The aim of the design was to welcome everyone to our studio by creating an exciting and enthusiastic environment as soon as you walk in. 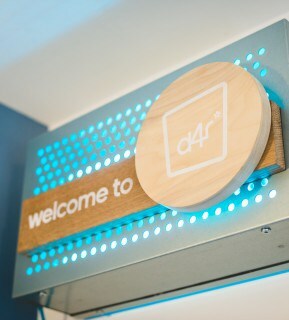 We made the space completely personal to us and added the D4R branding throughout, not only here, but continued through the rest of the studio as well. 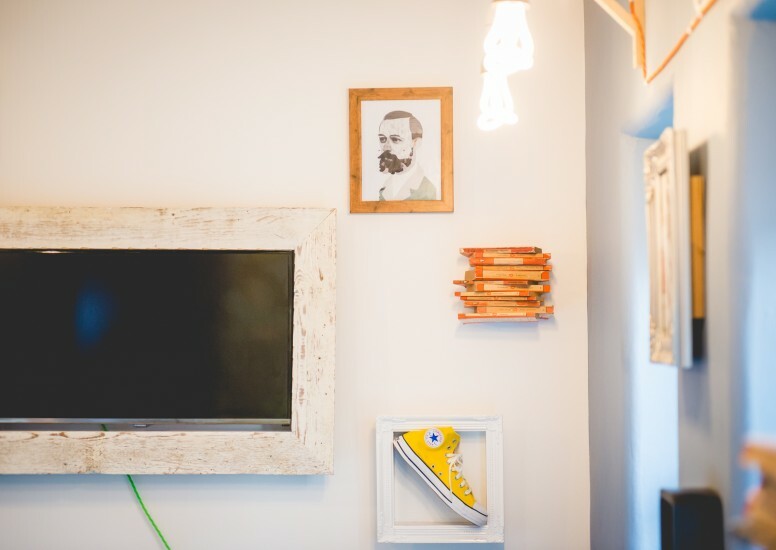 On the walls we’ve added individual features such as a yellow converse, stacked books and art work to emphasise that personal element. 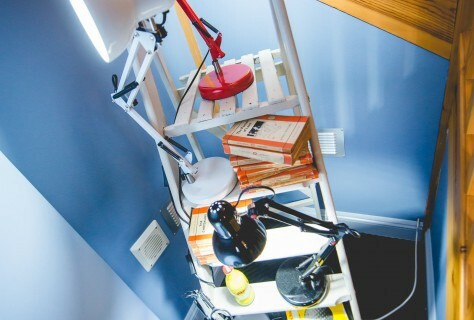 We’ve carried this on through the rest of the space also creating a unique lighting arrangement with a step ladder, books and coca cola bottle and then finished off with our own D4R stamp of approval with a bespoke personalised light box.